My Quickstarter project ended being 376% funded! I really appreciated some of the analytics, so that I was able to see how people came to back me, and was happy to have 11 people back me who I don’t know, which was just under half of all backers. So far in comparison to Indiegogo, I’ve found the categories of Indiegogo a little more difficult to place myself within, but really enjoyed the prelaunch, even if it wasn’t particularly useful in terms of fund raising. The project is now live on Indiegogo, but I don’t expect this one to be super successful, as I I had a first-person connection to most backers of my Kickstarter, and don’t expect many of those to back me again. In terms of direct comparisons, KS seems easier than IGG. IGG also doesn’t allow gifs, which is kind of a pain (I guess this can be remedied though converting those to videos. The insights info is more robust for sure in IGG, but then the referral system is a lot more manual (you have to fiddle with the URL a little). 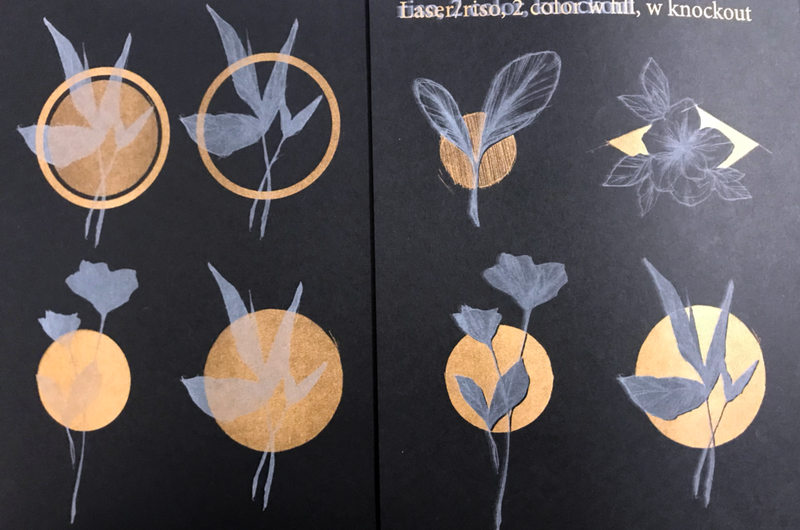 I’m going to hold off the production of the notebooks until after the Indiegogo is done, but am working on the thank you cards (with artwork from @bchan.png) which I’m enjoying, as I’m learning a bunch about the risograph printer. Next, its all boxes and trying to figure out how to be different, affordable, and awesome. Should be easy.